Auto Safety Center's reputation is build upon what we “do” - not what we “claim” to do. We take a professional approach towards our work and a personal responsibility for our customer's satisfaction. 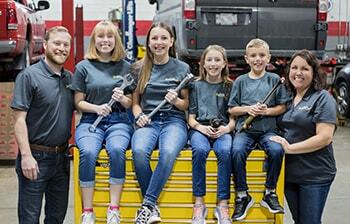 Our business is auto repairs, but our focus is the people we serve. We understand the meaning of “service” and are committed to developing long customer relationships. 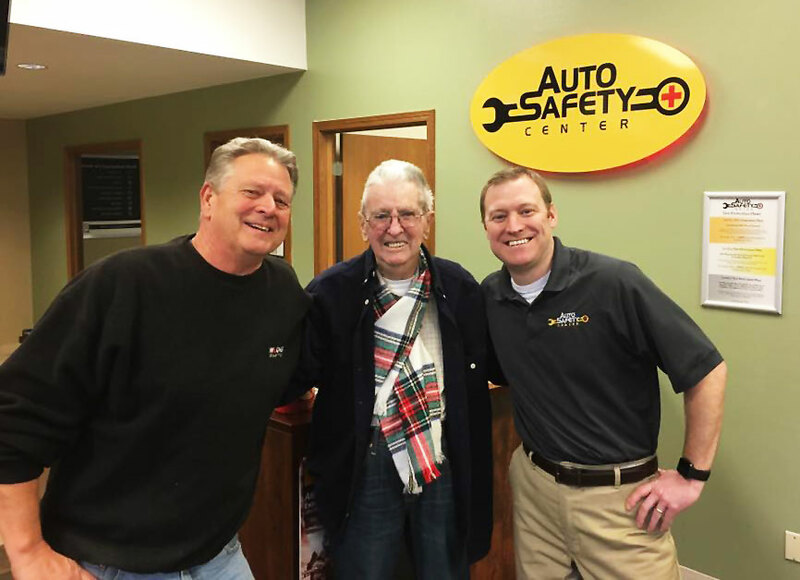 45+ years of success is a testament of how we treat our customers at Auto Safety Center. 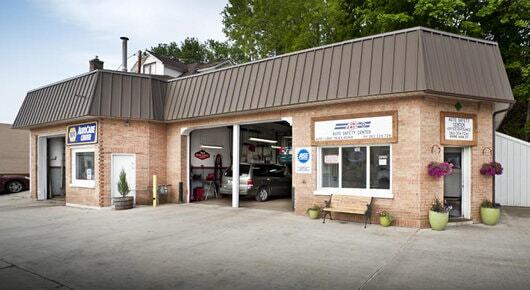 We believe our role is to inspect, estimate, consult, and repair your vehicle based on honesty and integrity. The key element is consultation. We provide information to assist you in making decisions; a professional assessment and clearly explained options that fit your needs... and your budget. The doors of Schmidt's Safety Center opened September 1965 at 444 N. Main St West Bend Wisconsin. The location had been a gas and service station since the 1930's and seen several businesses come and go before Ralph took over. Ralph never attended formal training but gained his mechanical expertise from working on the family farm and several repair shops throughout Wisconsin. 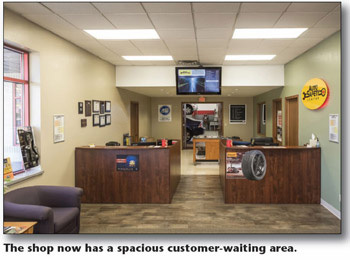 Schmidt's Safety Center specialized in tires, wheel alignments, brake and suspension service. Ralph also installed tires for many local retail stores such as Western Auto, Gamble, Sears, and Fleet & Farm. These tire installations often lead to other repairs and many loyal customers. Ralph started his business solely by word of mouth advertising and built it with quality work, honesty, and integrity. 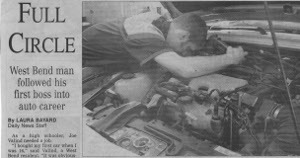 To this very day we still service and repair vehicles for customers who started coming when Ralph ran the shop. December 5th 1983 was a day life would change for Roger in more ways than one. 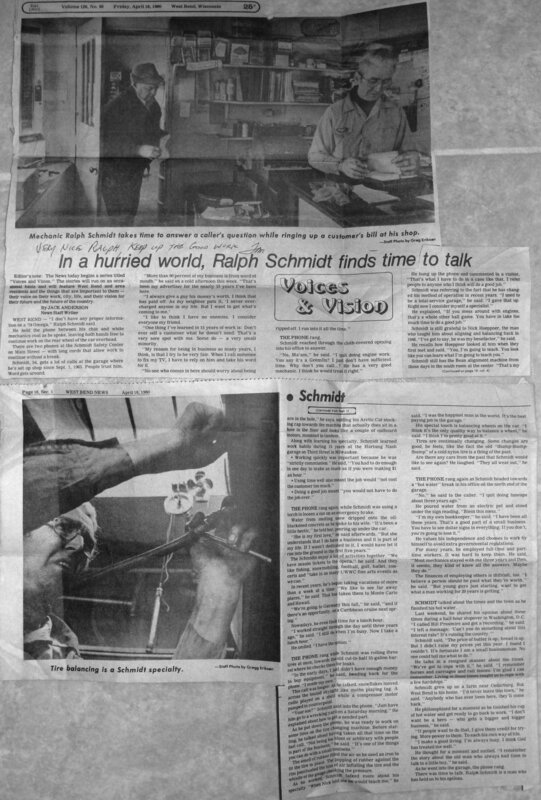 Not only was it the day his daughter was born, it was the day he and Ralph agreed on the sale of Schmidt's Safety Center. Roger remembers negotiating with Ralph on the phone from the hospital, while his wife, Linda was beginning labor. Linda had recently quit her job to stay home with the kids, Roger was between jobs, and baby #2 was on the way! In hindsight the timing could not have been better. Roger got his start at Lang's Trailer Rental in Milwaukee, servicing and repairing their fleet of 120 trailers. He also installed trailer hitches and electrical harnesses (which is something we still do at Auto Safety Center). He recalls at that time many hitches would just mount to the bumper of a vehicle, and could be installed in a matter of minutes. Very different than today’s vehicles! 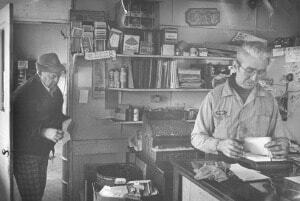 In 1969 Roger took a job at the full service Mobile Gas Station on 124th and North Ave, also in Milwaukee. It was there that he developed his automotive repair skills. The owner of the service station would send his mechanics to every training class he could. Roger benefited from not only the training, but the high volume of vehicles they would service in a typical day. The experience also gave him skills he needed to run his own business. Roger officially completed the deal with Ralph on January 27th 1984. 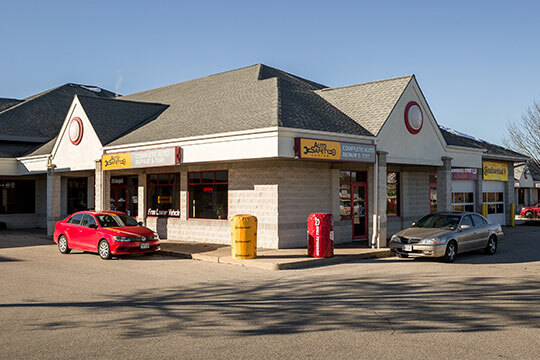 He immediately changed the name to Auto Safety Center to gain a better position in the phone book as well as bring a better understanding of the type of service he did. Ralph took out a full page advertisement in the local paper to thank his customers and show support for Roger. Roger made many physical improvements to the shop over the years, but one thing he had no problem keeping was the reputation for honest and quality workmanship. His philosophy was “honesty is the best policy” and to do only what he would want if the customer's vehicle was his own. These core values helped Auto Safety Center to prosper and carry on the values established by Ralph. 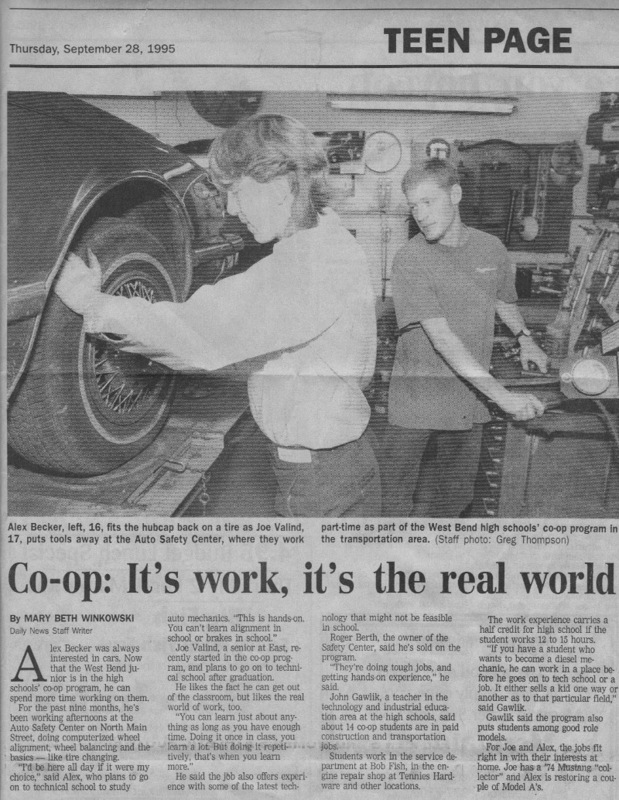 As a high school senior Joe got his first automotive mechanic job in September 1995 through his high school co-op program. As the Lord’s providence would have it, the placement was with Roger Berth at the Auto Safety Center. 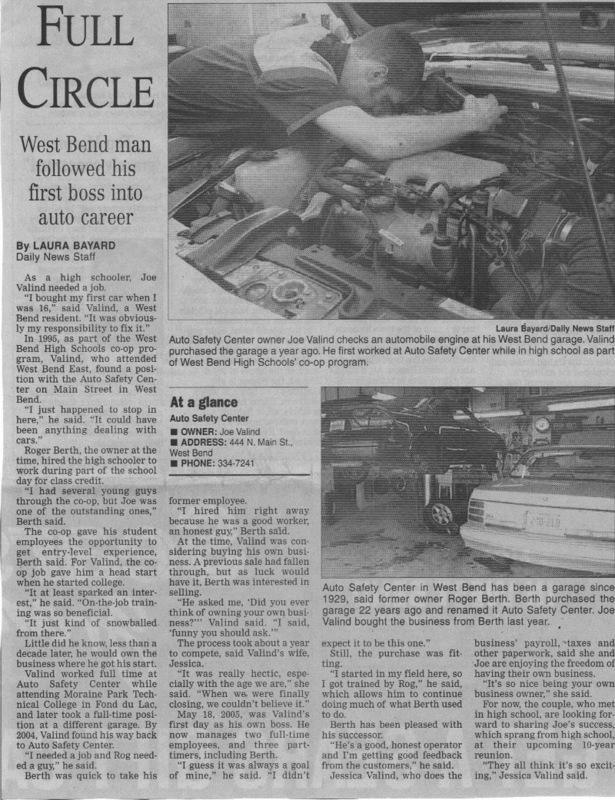 In January 1996 Joe graduated from West Bend East High School and began working full time at Auto Safety Center. 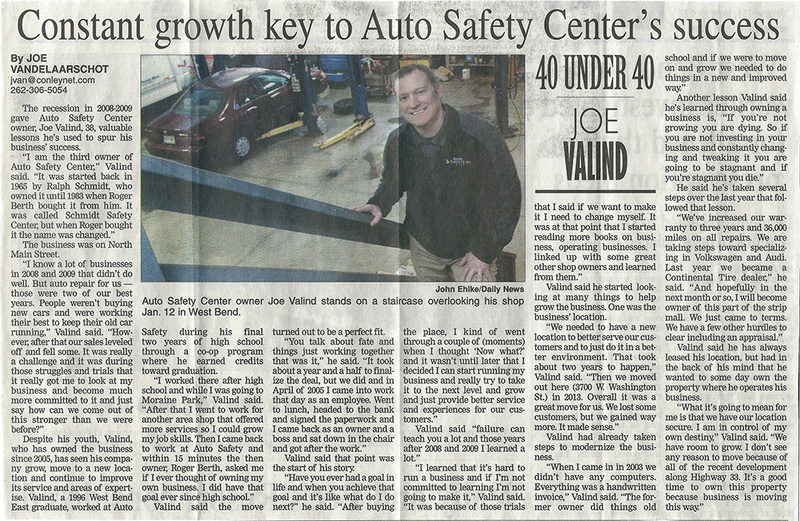 Click the photo to see how Joe got started at Auto Safety Center in 1995, through his high school co-op program. Roger was a great mentor and Joe learned a great deal during his time there. 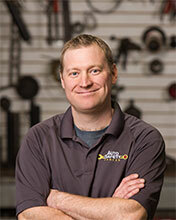 Joe quickly recognized his obsession with cars and a personal goal to own his own shop. He attended Moraine Park Technical College of Fond du Lac and received a degree in Automotive Technologies. 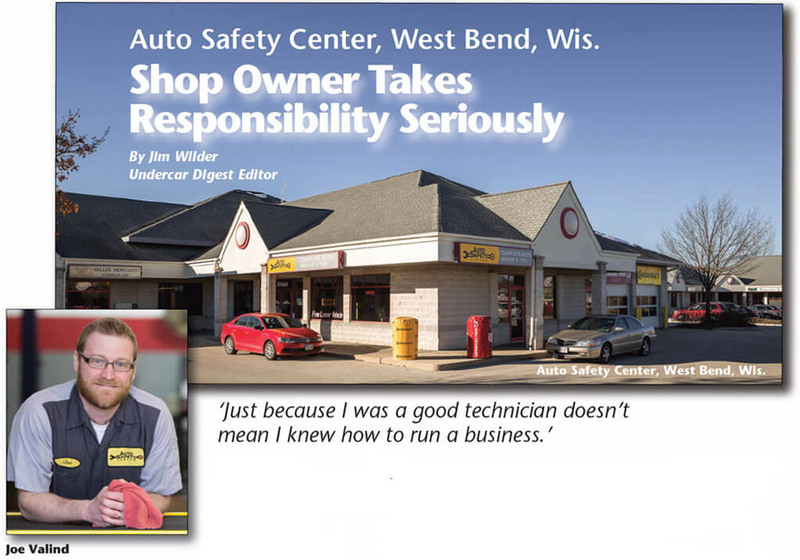 At the time Auto Safety Center did not do all aspects of auto repair so Joe moved to another shop to broaden his repair skills. After a few years of gaining experience Joe decided the time was right to own his own business. 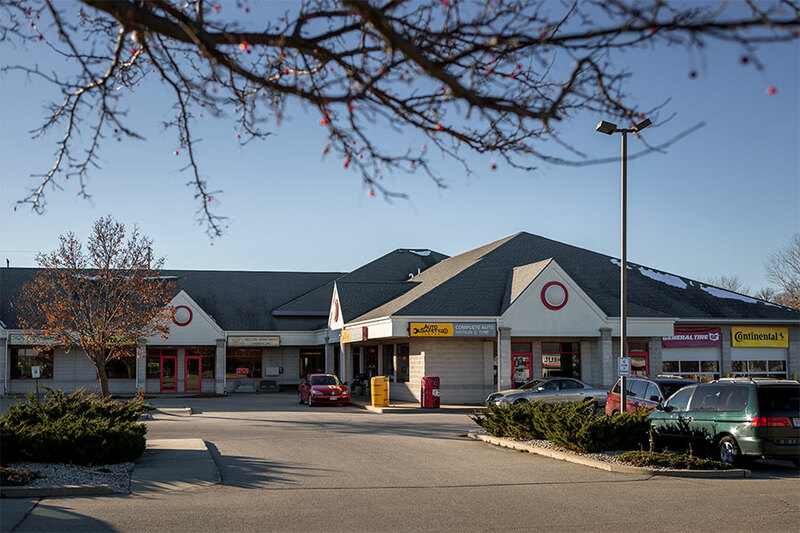 He pursued purchasing a shop in West Bend but the deal fell through after several months of negotiations. The shop Joe was working at was closing and his hope of purchasing a shop was put on hold as he focused on finding a job. Joe heard Roger at Auto Safety Center was looking for help and dropped in to see if the job was available. They hit off just like before and 15 minutes into their conversation Roger asked “Have you ever thought of going into business for yourself?” Joe replied “Funny you should ask”. It took another year and half to finalize the transaction but in May 2005 Joe and Jessica became the next proprietors of the Auto Safety Center. The common characteristic throughout all the years and changes of ownership has been a commitment to customer satisfaction. From Ralph, then Roger, and now Joe the values of quality work, honesty, and integrity have remained unchanged. 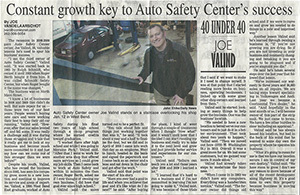 DAILY NEWS - Washington County’s Daily Newspaper article about us (PDF) here: "Constant Growth Key to Auto Safety Center’s Success"
Auto Safety Center has evolved dramatically since it opened in 1956 as a muffler and undercar shop, and current owner Joe Valind admits there was a lot of heartache and struggle to make the shop a success since he purchased it in 2005. The changes that were implemented are phenomenal, to say the least. Joe has a long history with the business. He worked at the original location as a co-op student in high school in 1995 and stayed on until 1998 before moving to a job that allowed him to advance into engine diagnostics and other high-tech repairs. After that shop closed, he returned, making an agreement that he would buy the shop within a year or two. Joe learned quickly that running a business was just as important as being a good tech. Over the years he has joined the International Automotive Technician’s Network (IATN), Tom Ham’s Automotive Management Network and is a member of a 20 Group where he shares ideas with other business operators. Most important, Joe noted that he spends as much time as possible reading books. Although business thrived, at the beginning of the Great Recession in 2008 it began to falter by 2010 and was really sinking by 2011. During the interim, Joe started advertising that the shop specialized in Honda/Acura and Toyota/Lexus. 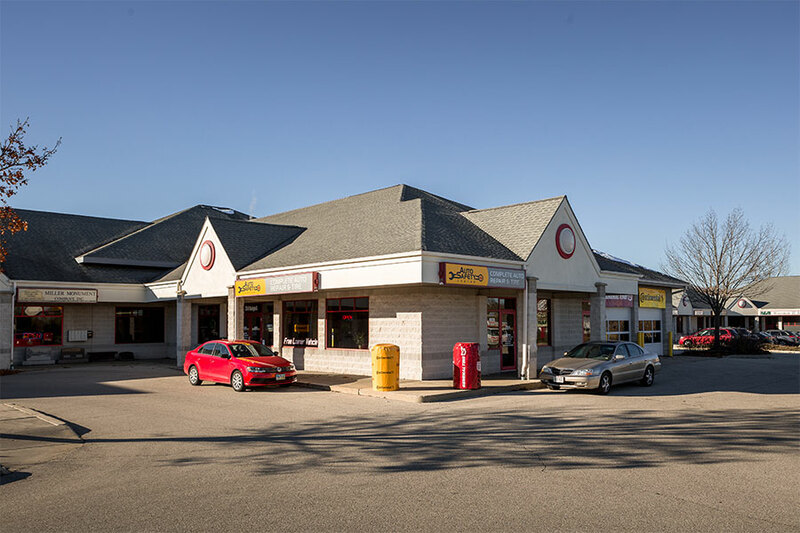 West Bend didn’t have a Honda dealership so it was easy to bring in import customers. In addition, his technicians soon found that specializing made it easier to diagnose some of the tougher problems. 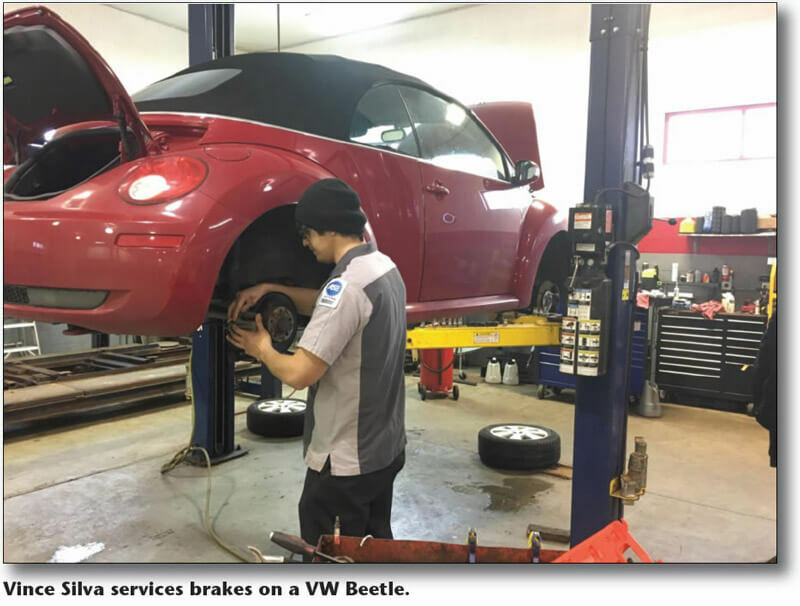 The shop continued to repair all makes and models and then added VW/Audi to its specialization mix. “I like the idea of specializing because if we can see some of the same cars, we can target pattern-failure items and be more efficient.” Tires followed. Joe’s search for a better site lasted two years. He stumbled across an 8,200 square-foot building attached to a strip mall that had been vacant for four years. 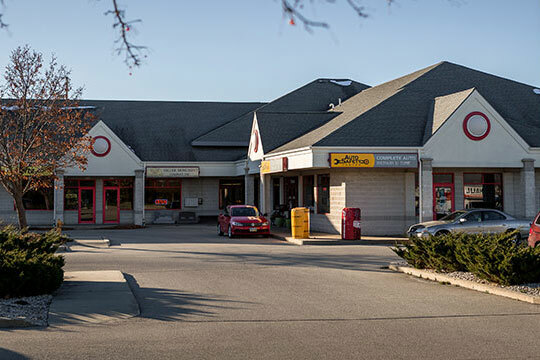 With 6,000 square feet of shop space, it now has nine bays – five with lifts. It has 1,800 square-feet for office space with the rest going to storage space, a large customer-waiting area, a lunch room and even a playroom for kids. And it has extra room for expansion. The shop offers free snacks, beverages, Wi-Fi and TV. “Our secret sauce, so to speak, is making sure our employees are happy, making sure they are appreciated and having a drama-free team centric culture,” he said. “We address issues as they come up. We address issues as a team. We want to provide a good customer-service experience. Getting everyone on same path ¬– that’s our mantra,” he said. Tuesday morning meetings provide a great opportunity for the staff to share concerns and share opinions. “When we hit shop goals we provide a lunch on Friday,” Joe said. “Generally the team has the ability to choose where they want to go. We’re not talking McDonalds – instead it may be subs, a nice restaurant or we bring in lunch. “My techs are paid an hourly rate, plus a production bonus or incentive, so it’s a hybrid. I also go one step further. Some will get a bonus on top of the production incentive. If they bill 40 hours and they are here 40 hours, being 100% productive they will get a bonus on top of that.” Everything is explained in the employee handbook. Auto Safety Center pays for all customer training. 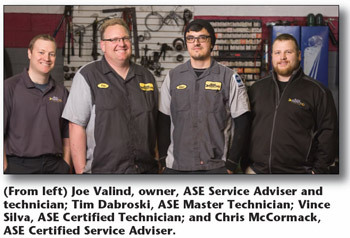 Technicians and service advisers all have ASE certification. But Joe notes that the automotive culture in his area makes it difficult to participate at times. A technical school about 45 minutes north of his shop offers a variety of automotive evening classes, but very few others sign up. “I signed my B tech up all the time for scan tool and electronics, but the school is constantly cancelling them because they don’t have enough interest. It is so frustrating because I think training is so important to the industry and holding a lot of shops back. It got to the point that on the third time, they put it on for my one tech – two nights of one-on-one training on scan-tool usage. It was a once-in- a lifetime opportunity for him. 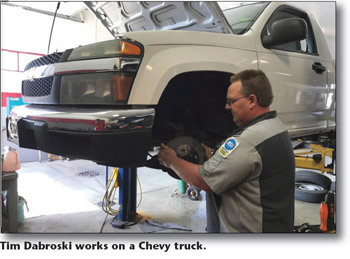 Technicians are allowed to work on their vehicles and the vehicles of their immediate family after work hours and on weekends. 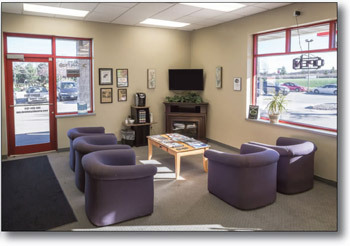 Auto Safety Center provides a visual inspection on all vehicles to provide the customer with an idea of the vehicle’s complete health – and it’s all paperless. The technician follows an inspection form on a tablet, photos are taken of problems and the service adviser reviews them with the customer and/or emails them to him. 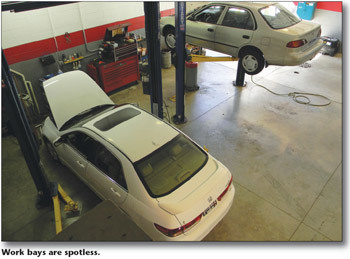 The shop has five loaner cars that are free when repairs are extensive. Maybe that’s why the shop has a 4.8 google rating with 38 reviews. From May through October the shop offers a “Cars & Coffee” car show from 8-11 a.m. on Sundays. Joe describes it as a laid-back social gathering for car enthusiasts. A local coffee vendor comes as does a food truck. Auto Safety Center also supports a non-profit that provides transportation for the handicapped and elderly for medical visits. The shop services its vehicles and Joe and one of his service advisers work as celebrity waiters during its fund-raising dinner. Seed of Hope is a life-based group that provides crisis pregnancy counseling. The shop donates repair services valued at $3,000 each year for the group’s clients who need auto repairs. Joe also gets suppliers to donate parts, so the repairs have a value closer to $3,500 or $4,000.